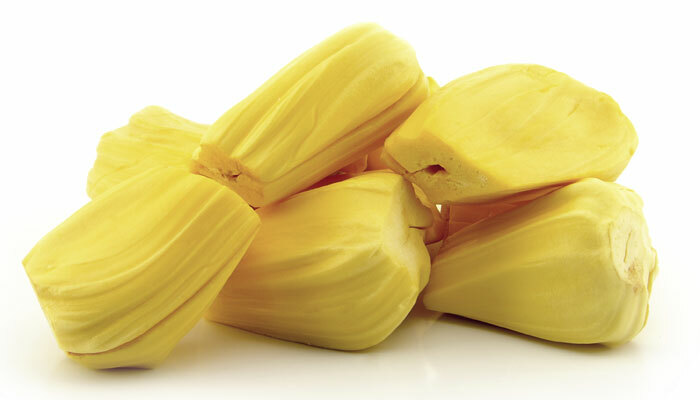 Jackfruit, one of the tropical fruits available is both delicious to eat and even has a sweet taste. It is also rich in energy, dietary fiber, minerals, vitamins making it one of the most healthy summer treats to relish. Immunity: The fruit contains an excellent source of Vitamin C antioxidants which helps in building immune system in order to protect against common diseases such as cough, cold and flu. Energy: It contains a good amount of carbohydrate, calorie and simple sugar like fructose and sucrose, providing a quick boost of energy. Also, it has no cholesterol content which makes jackfruit a healthier food option. Maintains Blood Pressure: The good amount of potassium contained in the fruit helps to lower high blood pressure and also reduces the risk of stroke and heart attacks. Improves Digestion: Jackfruit is good for digestion and prevents constipation because of the good amount of dietary fiber in it, making it bulk laxative. Colon Cancer: The dietary fats contained in the fruit helps to clean toxins from the colon. Thus, it reduces the effects of toxin in the colon and protects from colon cancer. Good for Eyes: Jackfruit contains Vitamin A, an important nutrient for eye health. It increases vision and protects from free radicals. As this fruit is a rich source of antioxidants, it is highly effective in preventing degeneration of the retina. If your job leads to spending most of the time outdoors, do not forget to wear sunglasses as it can save you from developing a common eye disease. According to a study, residential geography, time spent in the sun and whether or not sunglasses are worn may help explain why some people develop exfoliation syndrome (XFS), an eye condition that is a leading cause of secondary open-angle glaucoma and can lead to an increased risk of cataract. “Lifetime outdoor activities may contribute to XFS so a more widespread use of UV-blocking eyewear can help prevent XFS,” said lead study author Louis Pasquale, as associate professor of ophthalmology at Harvard Medical School (HMS). Researchers conducted a clinic-based, case-control study in the US and Israel, involving XFS cases and control individuals. They measured weighted lifetime average latitude of residence and average number of hours per week spent outdoors as determined by validated questionnaires. They found that genetic or environmental factors also contribute to XFS. Previous studies have shown that residential (geographic) history and extent of solar exposure may be important risk factors for XFS. The study appeared in the journal Ophthalmology. 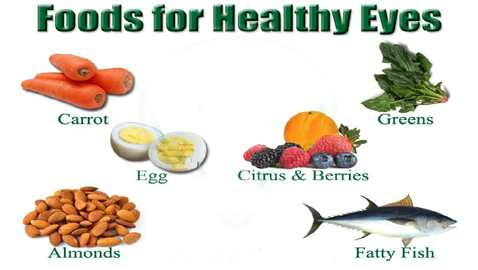 Five best foods for healthy eyes! Our eyes dubbed as the light of our body, need special care before they are being damaged. But many of us take this precious gift for granted, though we depend on them more than any other sense. Remember, when our eyes are healthy, our whole body is full of light. But, when our eyes are unhealthy, our body gets filled with darkness. Here are five foods that will keep your eyes healthy:Carrots: Carrots are rich in beta carotene (Vitamin A), which is a powerful antioxidant that can help reduce the risk of macular degeneration and cataracts. Spinach: Spinach is packaged with Vitamin C, beta carotene and large amounts of lutein and zeaxanthin (two nutrients good for your eyes). Studies have shown that these nutrients can reduce the risk of age-related macular degeneration and cataracts. Oranges: Oranges are also a rich source of lutein and zeaxanthin that do wonders for your eyes. Eggs: The yolk in eggs is rich in lutein and zeaxanthin as well as zinc, which also helps reduce your risk of macular degeneration. Fish: Eating fishes like salmon, sardines, tuna and mackerel will help keep your peepers in tip-top shape. These fishes are rich in 0mega-3 fats, which is good for your visual development, retinal function as well as serve as protection against dry eye. Working in front of a monitor for more than seven hours per day may lead to symptoms similar to those of dry eye disease, a new study has warned. The tear fluid that protects and lubricates the eye contains a protein called MUC5AC that is secreted by specialised cells in the upper eyelid. Researchers have found the levels of MUC5AC in the tears of those who stare for long periods at computer screens were almost as low as in people with dry eye disease, ‘Utah People’s Post’ reported. People staring at screens also tend to open their eyelids wider as compared to doing other tasks and the extra exposed surface area in addition to infrequent blinking can accelerate tear evaporation and is associated with dry eye disease. “Office workers who are worried about dry eye can make some simple changes to decrease the risk of disease. The exposed ocular surface area can be decreased by placing the terminal at a lower height, with the screen tilted upward,” Dr Yuichi Uchino, an ophthalmologist at the School of Medicine at Keio University in Tokyo said. Researchers sampled tears from the eyes of 96 Japanese office workers, roughly two-thirds of which were men. They then measured the concentration of MUC5AC proportional to the total amount of protein in the tears. The amount of MUC5AC in the tears of workers who looked at screens for more than seven hours per day was, on average, 38.5% lower than the amount in the workers who spent fewer than five hours a day looking at screens. 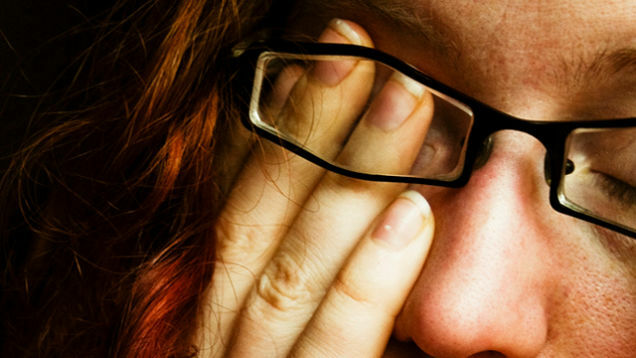 Among the subjects, 14% were diagnosed with dry eye disease and had 57% less MUC5AC in their tears compared to those without dry eye disease, the report said. The research was published in the journal JAMA Ophthalmology. Kajal has been used since centuries not only in India but also in other parts of the world especially Egypt, Africa and the Middle East. Women used it to enhance the beauty of their eyes and continue to do so. Soon, the tradition became popular and spread to other parts of the world. This made this cosmetic quite popular and these days, you can find kajal or kohl in almost every cosmetic store. In earlier days, kajal was made using galena (obtained from lead) or soot. Some animal fat was added to it by Egyptians for easy application. Kajal was stored in boxes and also in the form of sticks. Not only was it used for beautification, it was also believed to protect one’s eyes from the harmful rays of the sun and to ward off insects. The dark colour of the kajal was responsible for this function. Many Indians apply small dots of kajal on the newborn’s face to protect the baby from any evil. Kajal comes in a variety of packaging. From traditional surma boxes which needs to be applied with the help of your finger, to pencil sticks which are much easier to apply. Depending on the look you wish to create, keep both the thick and thin sticks handy. Start from the inner corners of your eyelids to the outside. You can experiment with your look by drawing out the line a little more than where your eyelid ends, giving it a cat-eye look. To apply on your lower lid, gently pull the lower lid with the help of your ring finger and look in the upward direction. Now draw out a line with the kajal stick with the help of your other hand. Don’t press too hard and avoid getting any inside your eye. Try to get the line as straight as possible. The best way to achieve this is by standing in front of the mirror and practising. Make a single clean sweep with the pencil to get it right. You can then make it darker or thicker if you wish. Sharpen the tip of the pencil from time to time. A blunt tip will give you thicker lines. These days, you also get liquid kajal eyeliners in the market. You can use these too as they will be long-lasting, more dramatic in their effect and won’t smudge once they dry completely. But keep its application limited to just your upper eyelids. For lower eyelids, use dry kajal. Also, when applying liquid kajal, keep your eyes shut for a minute to let it dry. Also, cosmetic kohl may contain preservatives so it is best to remove them before going to bed with the help of an eye make-up remover. The first rule for eye make-up is to avoid sharing it with anyone, not even with your best friend or sister as it is easy to get bacterial infection from one person to the other. 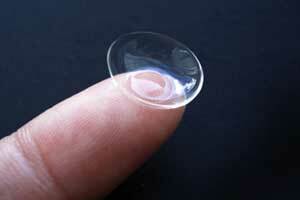 Avoid applying any form of cosmetic inside the eye or the inner lining especially if you wear contact lens. If you have an eye infection then do not apply any make-up as it will further irritate the eye and can also lead to more infection. Do not use cosmetics beyond their expiry date. Always remove any speck of make-up at the end of the day. Always cap the cosmetics after use to avoid any chance of infection. If the make-up or make-up remover irritates your eyes, just stop its use. Never apply eye make-up when you are in a vehicle as one bump is enough to poke your eye and cause serious damage. Tired of being told you look tired? Here’s how to get rid of eye bags, puffiness, dark shadows, and circles. Seasonal allergies, a cold, a sinus infection: These are some of the things that can lead to water building up under the eye. “We have the thinnest skin around our eyes, so it’s the area that’s most influenced by the in-and-out flow of fluids,” Goldburt says. A dinner heavy with salty food or a night of crying while watching a tearjerker movie can also cause morning-after puffiness. The reason is osmosis. “Water always travels from areas in the body where there’s low salt concentration to tissues where there’s more salt, Goldburt explains. That principle holds true whether the salt comes from tears or from soy sauce. Addressing the underlying cause will help treat these temporary eruptions of puffiness. Try a neti pot. Irrigating the nasal cavity with a neti pot — a device that looks like a small teapot — can help relieve fluid buildup caused by allergies, sinus congestion, or a cold. Switch your sleep position. Your sleep position may be contributing to under-eye bags. Thanks to gravity, sleeping on your side or stomach can encourage fluids to collect under your eyes. If you’re a side sleeper, you may notice a heavier bag on the side you sleep on. Goldburt advises her patients who wake up with puffy eyes to sleep on their back and add an extra pillow under their head. Other everyday habits, including rubbing your eyes frequently, going to bed with makeup on, and excessive drinking, can contribute to under-eye bags, too. “Sleeping in eye makeup can irritate your eyes, causing fluids to pool,” Goldburt says. Heavy alcohol drinking causes dehydration . That weakens the delicate skin around the eyes, making it more likely to sink into a pouch. Eye bags are very common, and are usually not related to your health. But if your bags appear suddenly and you’re not suffering from allergies, a sinus infection, or a cold — and they don’t ease up when you try the lifestyle steps mentioned above — it’s a good idea to see your doctor. Some thyroid or kidney problems can cause under-eye fluid retention, notes New York dermatologist Craig Austin, MD.